I'm a guy who likes to keep his ear to the ground where the Ottawa Senators are concerned, and lately I've been hearing things like, "Ottawa Senators games: 'plenty of good seats available!'" and "Ottawa Senators games: 185 days since we last broke the Noise-o-Meter!" and "Ottawa Senators games: We might win now that we're not playing the Western Conference. Seriously!" Now, Ottawa is a lovely city full of lovely people, but they have a reputation of being rather unadventurous. I was ruminating on this and I had a thought: people might be more willing to go to games if they knew exactly what they were in for. In this spirit, I've created this handy guide I'm calling, The Eight Types of Ottawa Senators Home Games. Read on and I'll help you decide which Ottawa Senators Experience is right for you! "Shhh. No words, only feelings," Ryan White tells Jared Cowen. What to expect in the stands: Let me draw an analogy here. A lot of tourists from the United Kingdom like to travel to Eastern European countries such as the Czech Republic, Poland, and Hungary. They do this because the travel time is short and everything is cheaper, so they can get drunk, have a good time, and annoy the local populace for a fraction of the cost at home. This is exactly how Leafs and Habs fans view Ottawa Senators home games. So the next time you see these poor, underprivileged people at Canadian Tire Place, remember that Ottawa is performing a valuable public service by allowing them to watch their hockey team at a reduced rate. To someone from Toronto or Montreal, Ottawa is like Prague. What to expect on the ice: Good ol' smashmouth hockey. The tension in the stands always seems to spill onto the ice. And spill behind the benches. Tension gets everywhere. You'll be drenched in tension. It can take up to three washes to wash all that tension out of your replica jersey. Ottawa has been claiming dominion over the Habs lately, but bear in mind that if you're at a Saturday night game vs. Toronto, Ottawa will probably lose. The Senators have an all-time 3-67-4 record against the Leafs when they play on Hockey Night in Canada. You should not go to this game if: You are afraid of confrontation or you are too willing to get into a confrontation. Trust me, there WILL be confrontation. I was at the Sens-Leafs game last year when Colin Greening scored the winner with 24 seconds left. I missed the last 24 seconds because I was too busy waving goodbye to Leafs fans as they streamed towards the exit. Not with my entire hand, mind you. You should go to this game if: What I just described in the last paragraph sounds like something you'd like to be a part of. "God, will you guys just rebuild already! Gross!" What to expect on the ice: All those things you've heard about on Sportscentre but never actually seen in person. Things like Lee Stempniak not being an embarrassing waste of space, or Alexandre Burrows doing something totally indefensible, or Dustin Byfuglien eating an entire wedding cake. You should not go to this game if: You don't have a Western Canada Hockey Team Guy friend to take. It's mandated by law that every Ottawa Senators fan has to take his opposing fan buddy along to the game. That's why there's always so many Bure/Selanne/Iginla/Smid jerseys. You should go to this game if: You think having to sing two national anthems at the beginning of games is a waste of time. "Draw me like one of your French girls." "And me!" And me!" What to expect in the stands: For years, no one could figure out how fans of these teams were getting to the arena. They didn't come with anyone and they'd vanish after the game, never to be seen again. It turns out that Boston, Pittsburgh, and Washington each run a special bandwagon service (presented by NBC) that takes their fans to and from Canadian Tire Centre. Try not to engage these people in conversation about what hockey was like before Crosby or Ovechkin was drafted or you'll be met with with a blank stare. What to expect on the ice: Boston and Pittsburgh are very familiar opponents for Ottawa and there's no love lost between the teams. Ottawa and Washington are not huge rivals, although you can usually tell that the Senators play extra hard against their old teammate, Brooks Laich. You should not go to this game if: You're afraid of what you might do to those around you when you become outraged at the obviously biased reffing (presented by NBC). 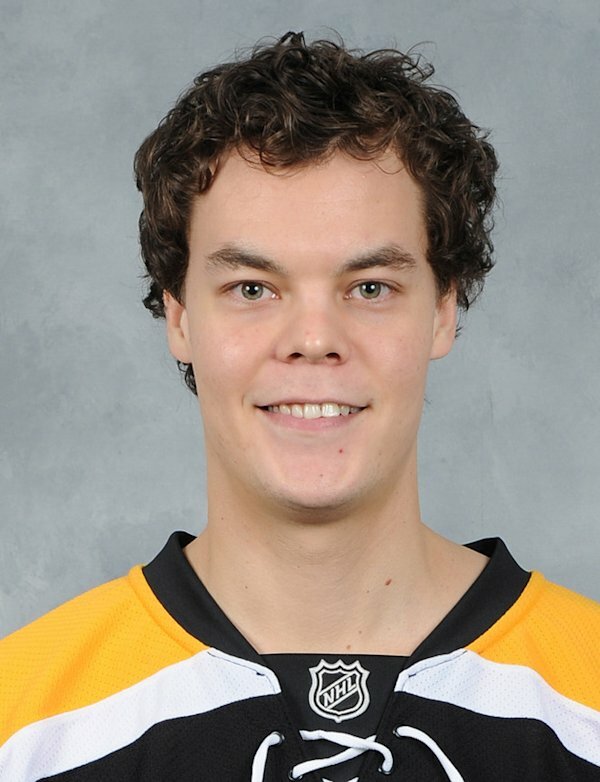 You should go to this game if: You want to watch some once-in-a-generation skills like Ovechkin's shot, or Crosby's strength, or Tuukka Rask's ability to look like an alien. "No guys, this is stupid. I'm telling you, we should use our sticks." What to expect in the stands: A couple fans of the other team who are actually super-knowledgeable and very respectful since they're just grateful to have an opportunity to watch their team in person. Seriously, big shoutout to that seven-year-old in the San Jose jersey I saw at the game a few weeks ago. I don't know why you are the way that you are, but I like that you own it. You do you, big guy! What to expect on the ice: Empirical evidence suggests slaughter. You should not go to this game if: You're afraid of excellence (in your opponents). You should go to this game if: You want a chance to be able to tell people, "I was there when Ottawa beat a Western Conference powerhouse." After all, you can't win the lottery unless you buy a ticket. Zack Smith seen here recreating the end of Rocky 3. What to expect in the stands: Many (seven) years ago, Ottawa had a fierce rivalry with the Buffalo Sabres. Since then, Buffalo has gone from Stanley Cup contender to "Steve Ott is the captain. Good luck with that, Matt Moulson." Buffalo fans know that things are not good for them right now, but they should not be provoked. They are a proud fanbase who vividly remember a better time. Also expect to hear native Buffaloans say things like, "Boy, this area around the arena has been really well developed. It's a veritable hub of commerce!" What to expect on the ice: Matt Kassian punching John Scott, Matt Kassian punching Cody McCormick, Chris Neil punching Steve Ott, Chris Neil punching Marcus Foligno. You should not go to this game if: You do not wish to be exposed to the decline of a once great franchise. You should go to this game if: You like watching games the Ottawa Senators will probably win. Colin Greening seen here recreating the end of Highlander. What to expect in the stands: These are all fairly old teams with a rich history and devoted fan bases. The fans don't necessarily travel well, but there's always a few in the stands. In my experience, I've found that the average age of each fan base is roughly proportional to how long it's been since the team last won the Stanley Cup. Colorado and New Jersey fans seem to be in their late 20s, Detroit fans seem to be in their early 20s, Philadelphia fans are retired, Rangers fans are generally in their mid 30s, and St. Louis fans don't exist. What to expect on the ice: Ottawa stays competitive against a former powerhouse team trying to recapture its former glory. While goaltending uncertainty has been an issue in the past for Ottawa's opponents, they finally believe they have a long-term solution. Ottawa will have to try to put their opponent's newly-acquired player off his game in order to come through in this one. You should not go to this game if: You're intimidated by teams who have better jerseys than Ottawa. You should go to this game if: You want to interact with fans of teams that have some impressive history, but aren't all smug about it like Montreal and Toronto fans. "Oh my God, why can't we play Columbus every day?" "Hey Greg, it's Steve. I don't suppose you and your kid would be interested in going to a hockey game? *Pause* Who are they playing? Uh . . . looks like the Florida Panthers! *Pause* Um, they're pretty good this year as far as I know. They have Tim Thomas! *Pause* Great, you can have 'em for $30 each! I'll get those right to you." Then Season Ticket Holder watches the game at home drinking cheap beer. It's a story as old as time. What to expect on the ice: Ottawa's opponents fielding a 2nd through 4th line consisting of players you've barely ever heard of. It's a great opportunity to learn about the rest of the league. Just who are Matt Cullen, Jesse Winchester, Zenon Konopka, and Rob Klinkhammer? Well, there's no better time to find out! You should not go to this game if: You don't like learning. You should go to this game if: Your buddy Steve calls you up and offers you two tickets to the game. I mean, it's $30 bucks each to sit in the 300s! It's a great deal! "If you're not adjusting your Corsi for QualComp you're a straight-up chump, bro." As seen when Ottawa plays: In the playoffs. 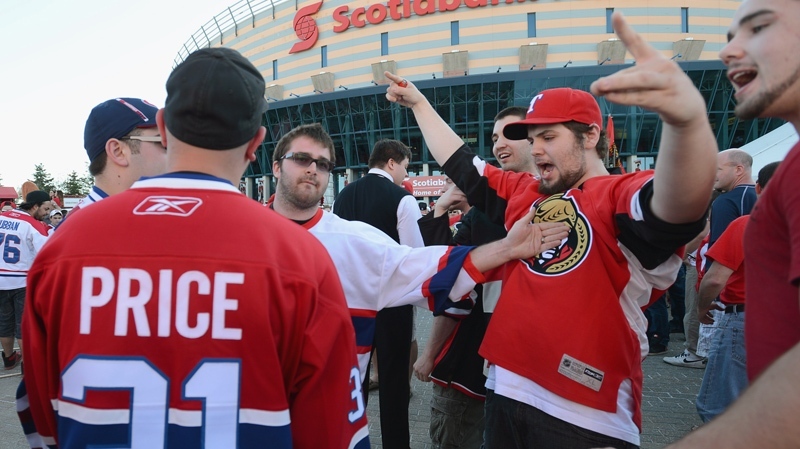 What to expect in the stands: Playoff games bring out the best in Ottawa crowds. Everyone is pumped. The atmosphere is unreal. I'm getting excited just thinking about it. What to expect on the ice: Anything and everything. You should not go to this game if: You hate long horn blasts. You should go to this game if: You are a Senators fan with a pulse. So there you have it! Join me next week when I discuss The Five Types of Ottawa Senators Home Game Commutes to help you decide which transportation option best suits your needs!